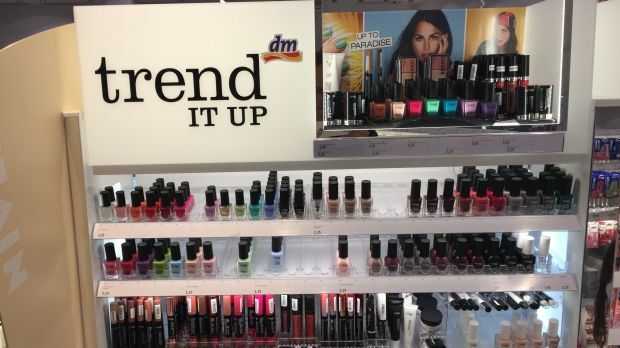 In Italy, dm will face strong competition for its cosmetics assortment. Today, dm has opened its first Italian store following its market exit. It is located in the city of Milan. The German drugstore operator plans to open around 100 stores in Italy by 2020. The stores will be in northern and central Italy as well as in Tuscany. Previously, dm had stores in Italy but it exited the market in 2005 as the ca. 40 stores it had at the time were underperforming against expectations. Additionally, bureaucratic obstacles deterred dm from further investing in its Italian store network. The stores were sold to the Italian drugstore operator Acqua & Sapone. After more than ten years of absence in the market, dm has decided to re-enter Italy. Even though the drugstore operator will have to face a strong competitor in Acqua & Sapone with around 700 stores there, this move could be a smart one. dm’s foreign market sales are developing well and a new market – which is not only neighbouring one of its existing foreign operations, but is also known from the past – could well contribute to the company’s success. Given that economic factors, such as consumer confidence and unemployment rate, have improved over the last few years, the starting position is a better one than when dm left Italy. However, we believe that a critical factor to dm's success will be finding a way to differentiate itself from the competition. This includes Acqua & Sapone, Crai’s drugstore banner Promotre and Auchan's Lillapois, as well as perfumeries such as Sephora and Kiko. dm states in a press release that it plans to offer “competitive prices, a wide assortment, experience and expertise” as distinguishing factors. A different assortment including regional brands will be essential to ensure dm’s success, since German quality alone might not work as well to drive footfall as it does in CEE countries. It will be interesting to see if dm’s private labels will prove as popular as they are in its other countries. Also, whether dm’s cosmetic assortment that it has refined since its Italian market exit will now be attractive enough to lure shoppers away from the perfumeries. The beauty store channel is particularly buoyant in Italy with private label-heavy players including the aforementioned Sephora and Kiko. Also, German perfumery chain Douglas is expanding heavily and just recently acquired two local competitors. LZ Retailytics data shows that dm in Germany has a sales density 50% higher than Acqua & Sapone and Promotre. However, since number two player Acqua & Sapone has around 700 stores and sales of EUR1.29bn in 2016, it is very unlikely that dm will overtake Acqua & Sapone in the drugstore ranking any time soon. Nevertheless, as Auchan’s Lillapois only had a turnover of EUR33mn in 2016, we believe that dm will be able to reach the number three position in Italy sooner rather than later.